I have recently been catching up on ABC's Scandal, and I think it may be my new favorite show. Kerry Washington as Olivia Pope is fantastic, and each week I am riveted by not only her performance, but by all of the characters as well. Plus, her outfits on the show are incredible. Of all of the characters on TV, I would choose to have her wardrobe. In this past week's episode she went to a political fundraiser in a white and black Escada gown that was to die for. See for yourself - isn't she gorgeous? Since I just finished my first quilt (↑) I figured I would check out QuiltCon, the international quilting conference that was in Austin this past weekend. I wasn't really sure what to expect, and I was blown away by the number of conference participants, the artistic quality of the quilts on show, and the availability of lectures and hands-on workshops during the weekend. I only went for the quilt show and the vendor show, but next year I'm definitely wanting to go to a workshop or two as well. Entrance to the quilt and vendor show was only $10, and I picked up more than that much in free fabric and other quilting swag (I know. Is that such a thing?) while I was there. I also spoke to the creator of these fabulous sanity savers, and needless to say, I spent my Sunday afternoon organizing all of my fabric with the ones I'd purchased! All in all it was a great Friday afternoon spent at QuiltCon, and I'll be on the lookout for information to come on QuiltCon 2014! I ran across this interview Sara Blakely (the creator of Spanx) did with Forbes magazine about a year ago, and I have to say, she has some wonderful insights about starting and running a business. My favorite is to fail big - or fail at all for that matter. I think we don't teach that concept often enough. If you have any interest in taking an idea into reality, or just business in general, it's a great read. I just this past week finished my first quilt, and I was surprised to see that this very weekend there is an international quilting conference, QuiltCon, here in Austin! 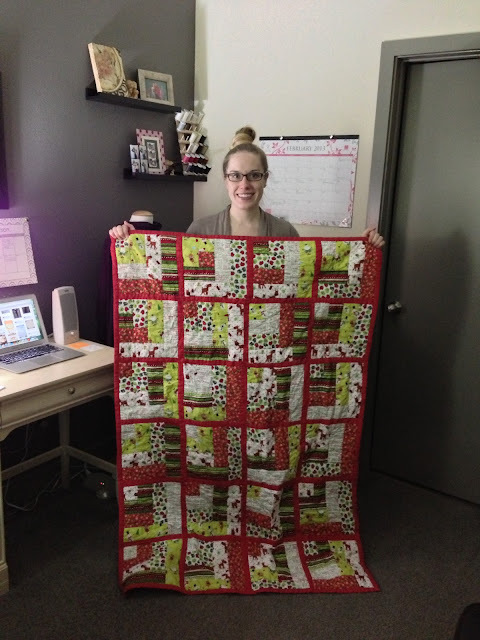 I am new to quilting, and the women in my family typically only quilt for themselves or other family members so I'd never even heard of QuiltCon. Needless to say, I'm headed there tomorrow after work since I have the afternoon off. I'll be sure to let y'all know all about it next week, and I hope y'all have a fabulous weekend! I've been seeing mint-colored items popping up everywhere, and I have to say, I'm loving it! I recently purchased a mint sweater, cardigan, and a pair of earrings. Mint is proving to be a refreshing color change to my closet. What do you think? Are you liking the mint items you see around town? I don't know about you, but I often have trouble when facing challenges knowing when to press on and when to change direction (i.e. quit). I feel like when we're growing up we're always told "If at first you don't succeed, try, try again". When does this cycle stop though? Are we supposed to spend our lives repeatedly attempting to fix an issue, a person, a relationship, etc. when really we just need to cut our losses and move on? I ran across this article about knowing when it's time to quit, and I think its sentiments are something to, if not take to heart, definitely dwell on as we go through our lives. 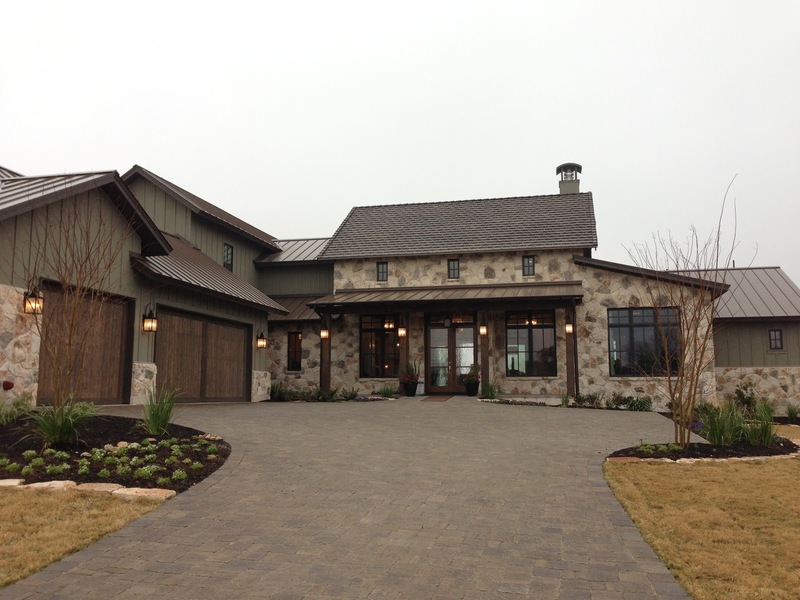 This weekend Lars and I went along with my parents to go see the 2013 Southern Living Showcase Home in Lago Vista. It's the first Southern Living Showcase Home in Texas, and since Lago Vista is a beautiful hill country town that's only about 30 or so minutes from Austin it only made sense to go see what all the fuss was about. We definitely weren't disappointed! The picture above was taken with only my phone, and even on the cloudy day that it was the home still looks gorgeous. Before we even walked in the house I was asking Lars if we could buy it! :) (Anyone out there have a cool $1.75M? If you do, the home can be yours!) If you live anywhere around Austin and are looking to do something this Saturday (or anytime in the next two weeks) I highly recommend taking in the beautiful drive and the gorgeous home. 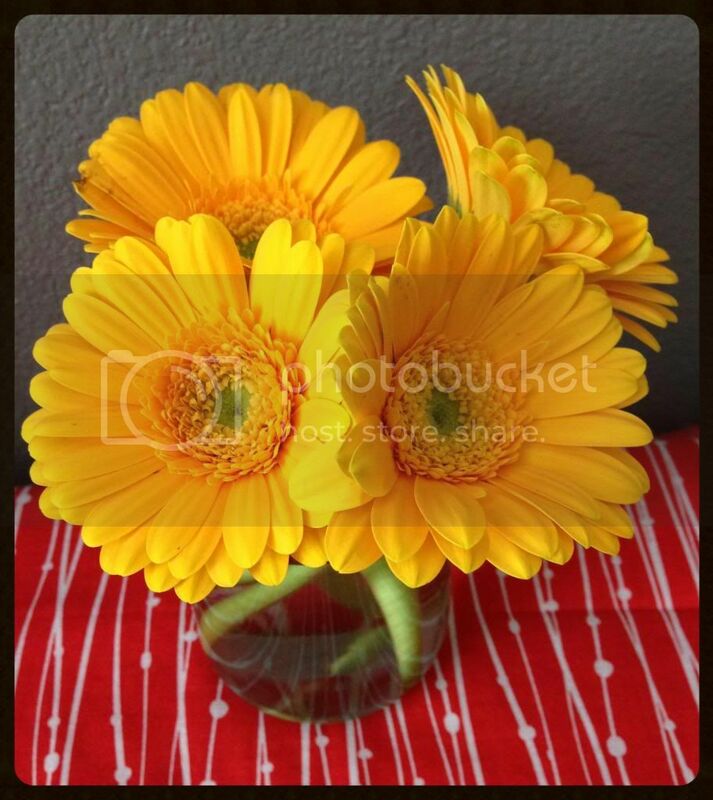 If you don't live anywhere near Austin check out the home's site to see non-iphone pictures of the home! Although it's been around for a while, I recently read this article, and it got me thinking about how I spend my time. I find that so many of us are "time poor". We spend our lives running here and there, but what are we actually accomplishing in that time of busyness? I just last week stopped myself from making yet another time commitment, and I have to say, it was as if a weight was immediately lifted from my shoulders. I think, especially as women, we have a hard time saying no when asked for our help. What do you think? Do you sometimes miss out on truly living because of all of your busyness as I occasionally do? While I'm still loving the colorblock trend, sometimes I want my pop of color to be my shoes or my bag, not part of my dress. That's why this neutral colorblock dress is perfect, especially for a more conservative work atmosphere.